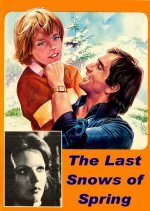 This 1973 Itailan / English dubbed tear-jerker classic was very popular at the cinema in it's heyday particually when released as a double bill with the other classic Italian / English dubbed movie Last Feelings in 1978. Starring Renato Cestie as Luca - a young boy who longs for love and attention from his widower father Roberto (Bekim Fehmiu) who is preoccupied with work and his secret new girlfriend Veronica (Augusta Belli). See also Last Moments and Last Feelings.